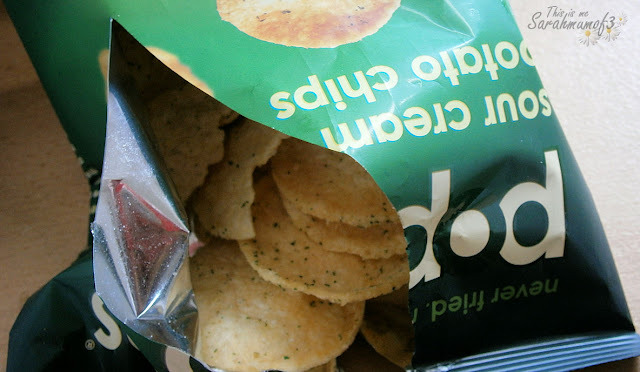 This is me Sarah mum of 3: POPchips - Great after school snacks! 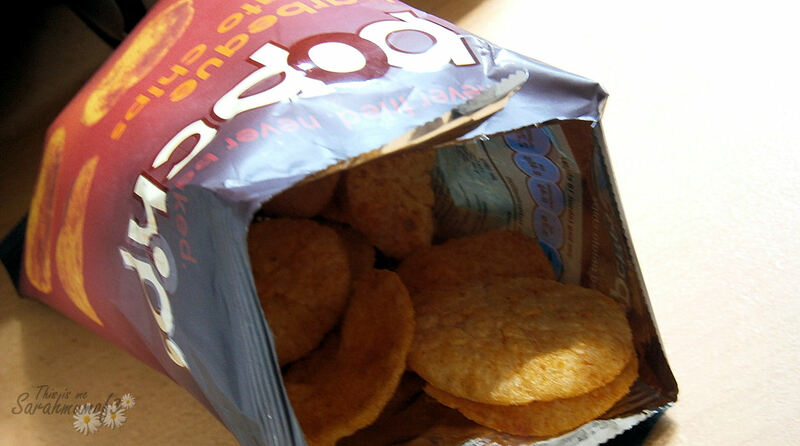 POPchips - Great after school snacks! If there is one thing you quickly learn when your children start school its that they always come home hungry.. well mine do anyway! They eat a good breakfast and have a cooked school meal, which they tell me they eat all of and often have seconds, but they always come home at 3.30pm like they haven't eaten all day. I guess its not surprising really because when they are at home all day they would happily snack constantly! So when we were sent a box of POPchips to give our verdict on they arrived just before I went on the school run, which meant before I had a proper chance to look at them they were opened and being tested by three hungry little people. These great crisps are not baked, nor fried which means they have less than half the fat of regular crisps, but they still have all the flavour, infact these are the tastiest crisps I have tried in such a long time they are simply FULL of flavour. 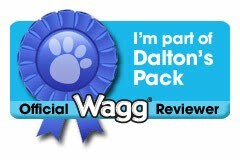 They come in single serving bags with around 18 crisps in each priced around 69p or share bags priced around £1.89 which would be perfect crisps for the jubilee celebrations! My youngest tried the sour cream and onion flavour and enjoyed them, although he did say they were spicy, although i tried them and they are not hot and spicy just full of flavour tasty! My daughter tried the Original variety and gave them a massive thumbs up, my eldest devoured the barbecue flavour commenting on their spicy taste, but both saying they preferred them to ordinary potato chips. So what is different about them, and how are they made if they are not baked or fried? 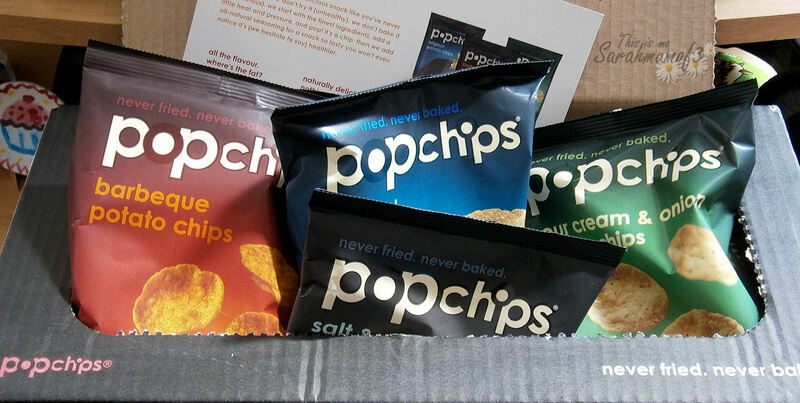 Well they are POPchips so they are quite simply popped! Using a bit of heat and pressure the potato is popped producing these crisps, using natural flavouring to produce a great tasting snack that will leave you without the greasy orange fingers, and they have less than 100 calories per single serving bag! They are thicker than an ordinary potato crisp and have more of a rice cake look about them, (although they are nothing like rice cakes in texture or taste!) and are quite a filling but moreish snack, with 5 great flavours to choose from you are sure to find a favourite! Overall we loved them, but to get the full picture you will just have to pop out and get yourself some POPchips and I'm sure will love them too! very yummy and very moreish! Our sample packs to review didn't last long.. need to go out and buy more!